Five-time Mr. Universe, seven-time Mr. Olympia, and Mr. World, Arnold Schwarzenegger is the name in bodybuilding. Here is his classic bestselling autobiography, which explains how the "Austrian Oak" came to the sport of bodybuilding and aspired to be the star he has become. "I still remember that first visit to the bodybuilding gym. I had never seen anyone lifting weights before. Those guys were huge and brutal....The weight lifters shone with sweat; they were powerful looking, Herculean. And there it was before me -- my life, the answer I'd been seeking. It clicked. It was something I suddenly just seemed to reach out and find, as if I'd been crossing a suspended bridge and finally stepped off onto solid ground." Arnold shares his fitness and training secrets -- demonstrating with a comprehensive step-by-step program and dietary hints how to use bodybuilding for better health. His program includes a special four-day regimen of specific exercises to develop individual muscle groups -- each exercise illustrated with photos of Arnold in action. For fans and would-be bodybuilders, this is Arnold in his own words. 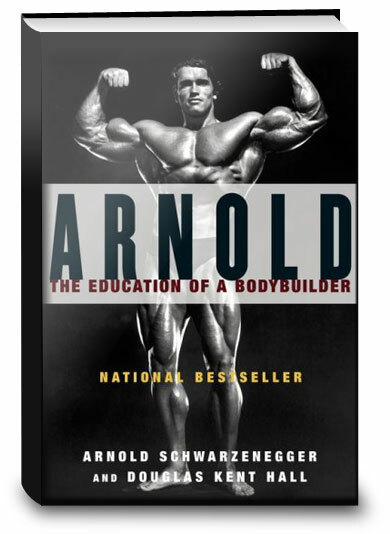 Click the button below to add the Arnold: The Education of a Bodybuilder to your wish list.